This is Dave's fourth studio disc. I started with his first offering, entitled "1990," and I was hooked. His guitar prowess is something to behold. It borders on amazing, if you ask me. This time around Dave has taken on vocal duties and does them quite well. I know that when a guitar player couples their music with their vocals it's because they're confident in how it will sound. Dave has a deeper voice so his guitar playing and his vocals complement each other. Since Dave plays all the instruments on "Evolution Machine" he can blend everything together and strive for the sound he wants. There are are plenty of "mini-instrumental" tracks between Dave's vocals on this disc and when Dave gets down, he really lets loose! He's got some spacey sounds coming out of his guitar this time as well. Dave also covers the track "Just What I Needed" by The Cars. He replaces the keyboard parts with his guitar and it sounds tough. The great thing about Dave Sharman is that his playing is solid. It's not flashy -- there's no stage smoke here -- what you hear is pure genius. He's got a melodic sound and he plays with a fiery passion. Dave performs all the instruments on this disc, bass, drums, guitar and vocals. For more information and, trust me, you'll want more, check out this link http://www.davesharman.com. On this, his third disc, Dave Sharman weaves in some lyrical content provided by the soaring and solid vocalist Thomas Brache. Dave's first disc was an all-instrumental fest and it proved he had chops that cut. This disc has ten songs, seven are with vocals, and to keep with Dave's love of instrumental guitar, the other three are showcases of his phenomenal fret work. That's not to say that the songs sung by Brache pull the reigns back on Dave's guitar work -- they don't; in fact, I'd say that he blends voice and guitar with a talent that many instrumentalists might find daunting. Electric, acoustic, no matter the flavor, Dave has created a sound that gives him versatility so when he slows a song down he still shines. When he's plugged in, he blisters. His riffs are grooving and his solos are melodic. Since it's his name on the marquee he can add all the fillers that leave no spot unfretted, which means each song is filled with plenty of guitar. This is one disc that gives you a glimpse into the future and past work of Dave Sharman. Later discs have Dave taking over vocal duties but still laying down his signature monstrous riffs and string bending solos. It also gives you a timeline for how Dave pushed himself musically and lyrically. He either wrote or co-wrote all the songs on this disc. "Here 'N' Now" is a perfect title because "here" is Dave blending his guitar talent with a vocal instrument and "now" he can write more songs to prove that the pen is as mighty as the axe. The band: Guitars, Backing Vocals: Dave Sharman; Lead Vocals: Thomas Brache; Drums: Stephen Wood; Bass: Dave Setchfield. 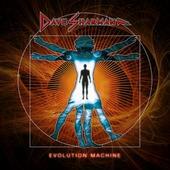 For more information check out http://www.davesharman.com and https://www.facebook.com/DaveSharmanRockGuitarist. I used to work for a music company and once a month they would send me a box of CDs and I would get to review new music. I was like a kid in a candy store. Now, fast forward a few years later and I’m that kid again. 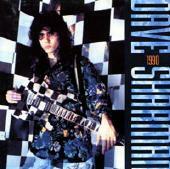 Dave Sharman's "1990" is a CD that I got back in ... you guessed it ... 1990. 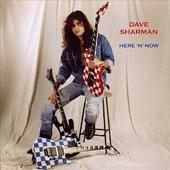 Dave Sharman is one of those guitar players who everyone thought he was cloning Eddie Van Halen. Well, at one time or another, every guitar player wanted to be Eddie. Van Halen was a huge influence on Dave Sharman. Dave has impeccable speed but just because he can play fast doesn’t mean he crams as many notes as he can into a stanza. He sounds a lot like Vinnie Moore. He also has that classical style that seemed to be required back in the 90s. Dave is also very melodic and never over layers his instrumentals. He is a self taught Brit who has been playing and writing since the age of nine. As I said, I first got this CD back in 1990 and I never did check out what Dave did after its release. Since MySpace has become such a phenom, I did my research and discovered a few additions to his discography. Give this guy a listen. Everyone I have ever played this CD for has marveled at his talent. Performing on 1990 are: Dave Sharman – guitars, bass, keyboards; Neil Huxtable – drums. For more information, check out www.davesharman.com.